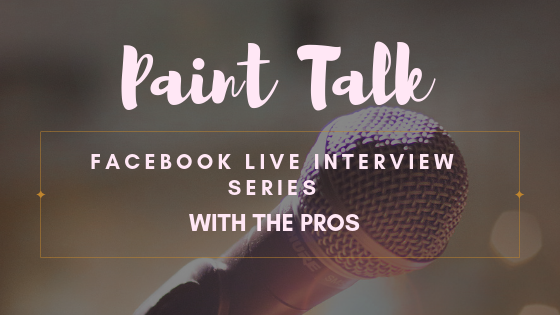 I started this series as an indulgence, I thought I could convince the people I admire to talk paint with me live on Facebook…. guess what it worked! I thought it would give me interesting content and I’d get to chat with some amazing people. 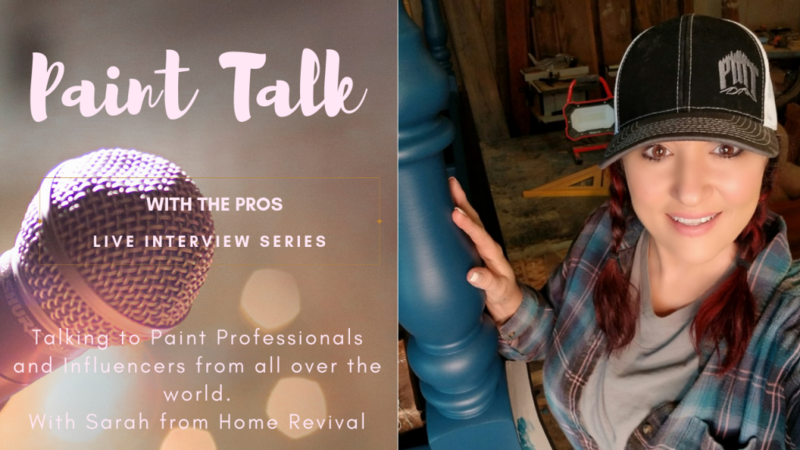 So for those of you who don’t know, every Monday night on my Facebook page I interview professionals and influencers from the paint world. We chat about how they started in the biz to what keeps them inspired. 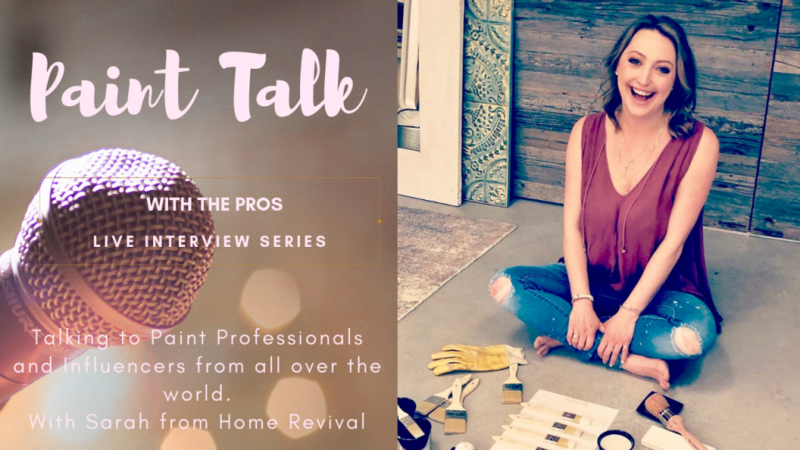 I’m not one to name drop but my very first guest was Jennylyn Pringle creator of Fusion Mineral Paint! I know cool eh? 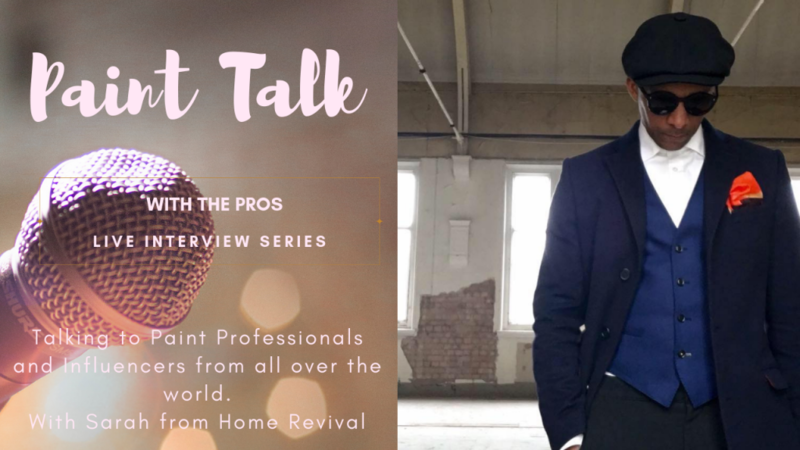 We also had an extra guest pop on and chat Loree Pringle Jennylyn’s mother and president of Homestead House company you can find that interview here. My second guest was Quitta she is a furniture artist over at All Shabbed Out her work is passionate and colourful and just jaw dropping. We had a real giggle and have become texting buddies. I’d just love to go visit her one day maybe she can teach me how to be an artist 😉 watch it here. 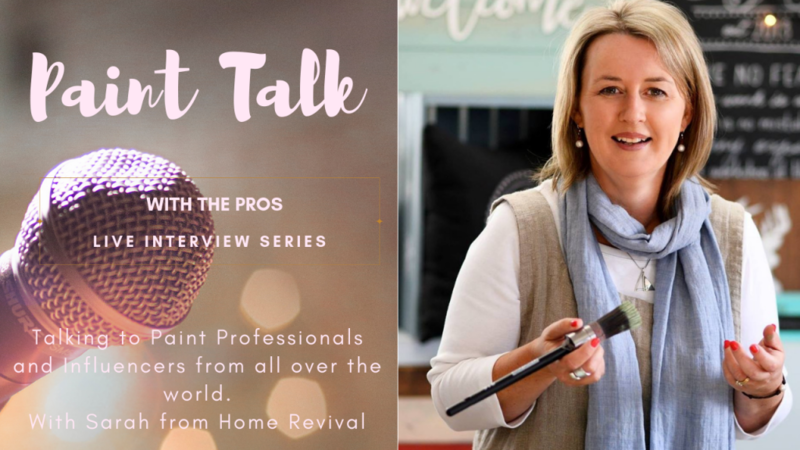 Wendy Batten was my third guest on the show and she is an inspirational entrepreneur, Wendy runs a coaching program for paint retailers in bricks and mortar stores as well as a studio in her home town, which by the way is the prettiest I’ve ever seen. You can catch a glimpse of that over on her Instagram stories. Watch the interview here. My last guest this month was Jay Blades, many of you might know Jay from the TV, he is on a couple of programmes Money for nothing and The Repair shop. We had a great chat and you all enjoyed it so much he’s promised to come back on later in the year! We covered lots of subject including where he thought the whole upcycling industry was heading... you need to see this one. So the Paint Talk got off to a great start and the feedback has been off the charts so thanks for tuning in, if you haven’t you are missing out. The next months guests are just as impressive so stay tuned.